UNWTO is convinced that the facilitation of tourist travel by persons with disabilities is a vital element of any responsible and sustainable tourism development policy. In this spirit of mainstreaming disability issues, the Organization’s General Assembly adopted Resolution A/RES/492(XVI) in 2005, entitled “Accessible Tourism for All”. In October 2009, UNWTO again underscored the importance of accessibility with the Declaration on the Facilitation of Tourist Travel, approved by its General Assembly in Astana, Kazakhstan. Of a purely recommendatory nature, it advises that “great efforts should be made to ensure that tourism policies and practices are inclusive of persons with disabilities.” The declaration calls upon states to ensure the accessibility of tourism establishments, the availability of special facilities for persons with disabilities at no additional cost, the publication of detailed information on the availability of such services and the special training of tourism staff. It further endorses the general principles enshrined in Article 3 of the UN Convention on the Rights of Persons with Disabilities and invites all States to implement them. In 2011, UNWTO is planning to carry out several activities with external partners in the field of accessibility, among which the development of guidelines, indicators, benchmarking and training to make tourism destinations accessible for persons with disabilities (650 million people worldwide). Currently, a future trilateral framework agreement is planned between UNWTO, Fundación ONCE and ENAT (European Network for Accessible Tourism), involving building on the Resolution on Accessible Tourism for All, providing advice on policy-making, awareness-raising, producing guidelines, and embarking on training and capacity building projects, especially via the UNWTO Themis Foundation, as well as the labour insertion of persons with disabilities into UNWTO. Two of this year’s Ulysses Awards have been bestowed on NGOs in Canada and Slovenia for their work in accessible tourism. Road) - an innovative and informative travel tool specially designed to promote accessible tourism in Québec - was conferred a UNWTO Ulysses Award for innovation in non-governmental organizations. The NGO SENT (Slovenian Association for Mental Health), the first organization specialised in accessible tourism in Slovenia, was also given a UNWTO Ulysses Award in recognition of its innovative programme PREMIKI, an institute promoting the development of accessible tourism and acting as a travel agency for people with disabilities. 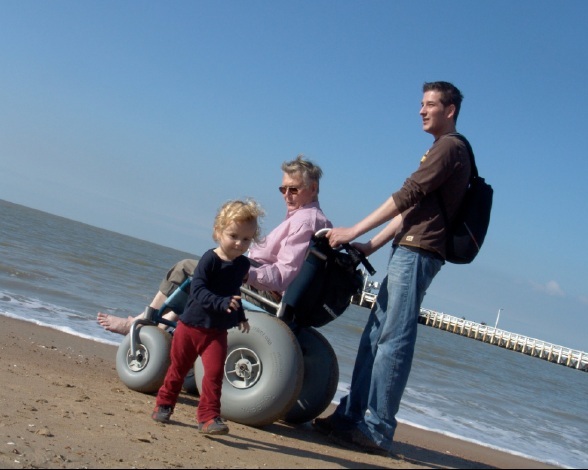 much of their time to researching new ways to improve accessible tourism. Tourism policy shares a number of monetary and fiscal tools with other public policies, but itconcentrates in the use of knowledge management instruments, from research, education and training, information, etc. to its applications in recommendations, best practices, voluntary standards, norms, codes and laws. It is in this context that accessible tourism is called to play an increasing role. Tourism increases human capital and its productivity in organizations and enterprises. However, human capital is, of course, not only a means to development, but in fact the purpose of development itself. People with disabilities cannot be absent – and are much needed – in the enormous tasks our societies face in the 21st century. Tourism represents a powerful tool for increased knowledge, awareness and capabilities, and thus the full participation of people with disabilities in society. Tourism should have an important role in the Convention on the Rights of Persons with Disabilities and its implementation, and the 2011 UNWTO Ulysses Prize and Awards have aimed to contribute to such a goal.